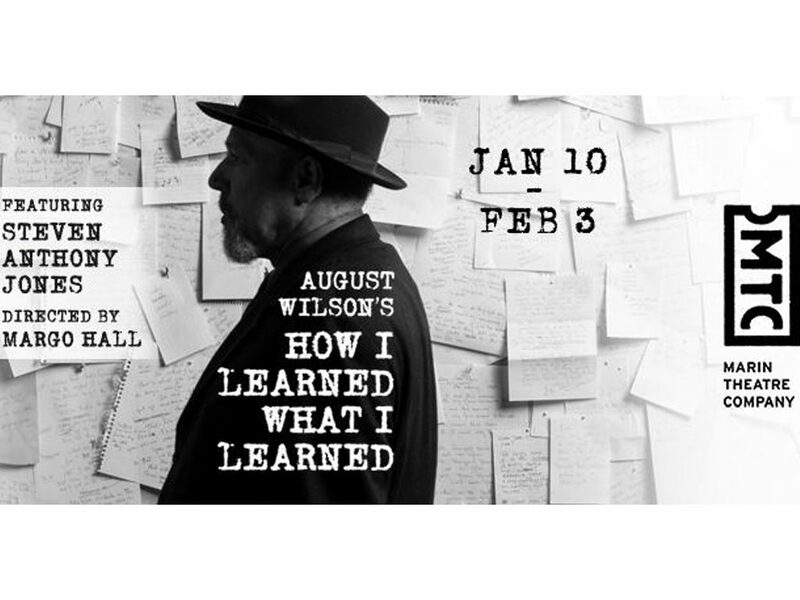 Through February 3, Marin Theatre Company is presenting Wilson’s autobiographical one-man play “How I Learned What I Learned” starring veteran actor Steven Anthony Jones, directed with great sensitivity by Margo Hall. 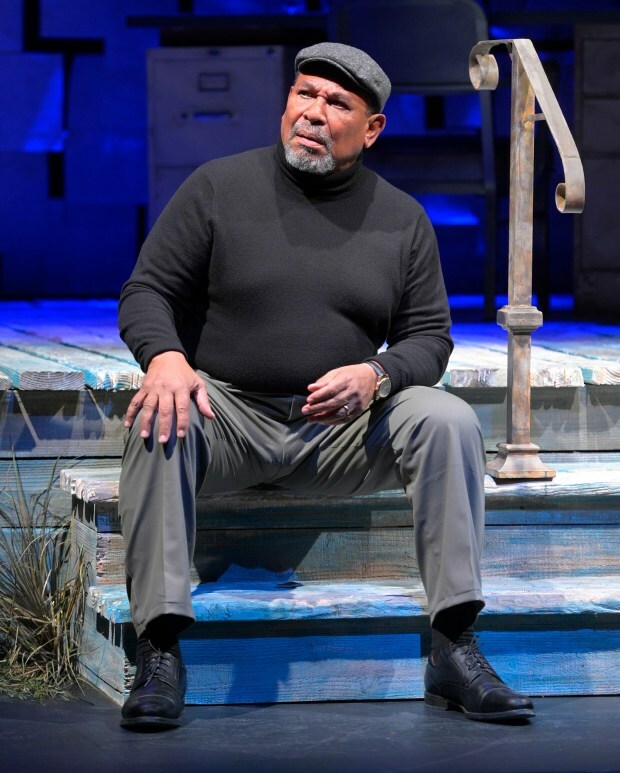 Steven Anthony Jones as August Wilson. 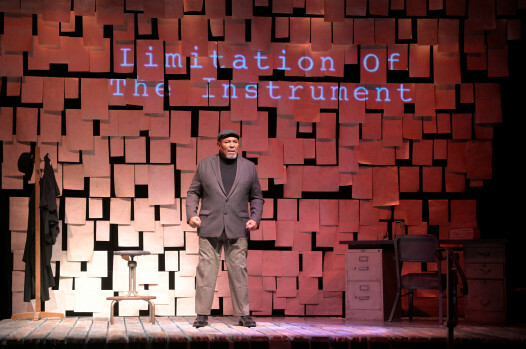 Anchored in Wilson’s upbringing in Pittsburgh’s Hill District, the performance is a seamless blend of reminiscence, historical fact, observation, and sermon, much of it a mix of personal anecdotes that range from exceedingly tender—a grade-school epiphany when he kisses the girl of his dreams—to absolutely horrific. He was a close-up witness of a murder provoked by an insult. 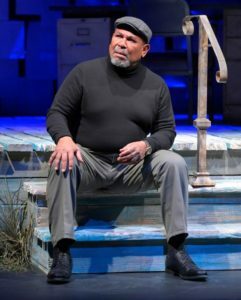 Jones’s monologue covers an astounding amount of time and material—from Wilson’s childhood in Pittsburgh to his adult years in St. Paul and Seattle—all of it conveyed with insightful wit and the intimate, avuncular wisdom of a wily old preacher. Steven Anthony Jones working at MTC. 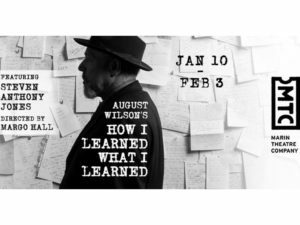 A cooperative production with the Lorraine Hansberry Theatre and the Ubuntu Theater Project—the show moves sequentially to those two venues when it leaves MTC—“How I Learned What I Learned” is a couple of the most rewarding hours you’re likely to have in a theater this year. Production Dates Thru Feb 3rd. Production Address Marin Theater Co.